Alexandra Palms (Archontophoenix alexandrae) provide a valuable food source for many fruit eating birds in the wet tropics of the Daintree region. Native to this area the palms germinate easily and a fruiting palm usually has many young palms at its base. 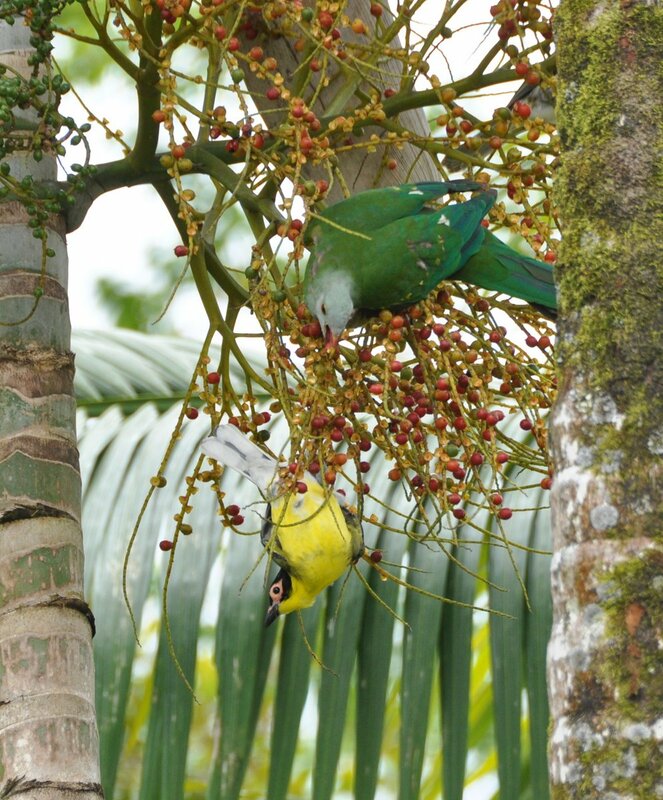 For many months Alexandra palms have been providing a source of fruit, so for a long period our garden has been full of colour, movement and the soft ‘wuk, wuk’ of Wompoo Fruit-doves as they enjoy the plentiful fruit along with Fig birds and Orioles. There was a regular Wompoo visiting some palms in front of our verandah where we enjoy morning coffee so it was quite entertaining to watch its reaction to the other birds eating from the same panicle of fruit. However, in the last few weeks the dynamics of the garden have changed dramatically since the return of Metallic starlings from their winter sojourn further north. The fruiting palms in our front garden have been stripped by flocks of these voracious feeders as the slower eating Wompoos made hopeless attempts to discourage them. 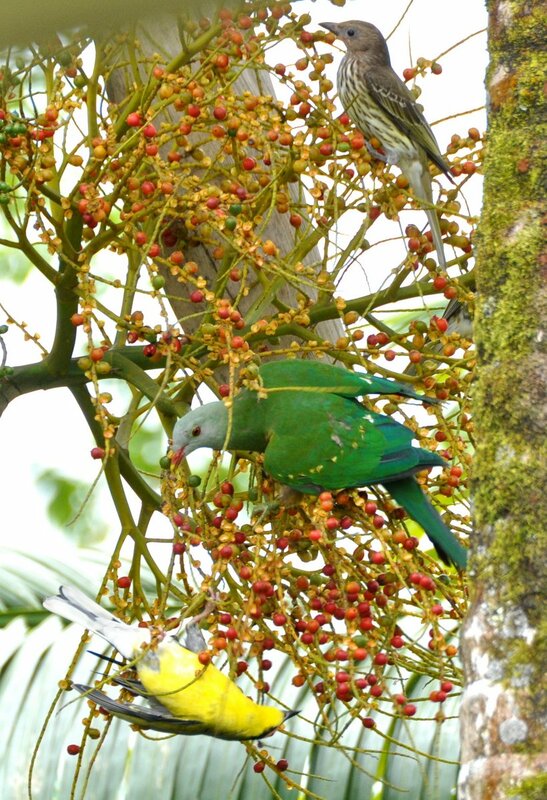 The Wompoos are now making the most of the fruiting Quandongs (Elaeocarpus angustifolius) – their blue fruit is also popular with Top-knot pigeons and Cassowarys, and being much larger in size it is not consumed by Metallic Starlings.